Always wanted to visit India? Well now is the time! This incredible tour gives a delightful sampling of the sub-continent in comfort. Days are full of exploring fortresses, monuments, and markets. Nights are spent at delightful lodgings. And of course, delicious Indian cuisine is a staple throughout! Arrive Delhi. Either fly or take a train to Agra (approx. 3 hours). Delightful B&B home-stay. 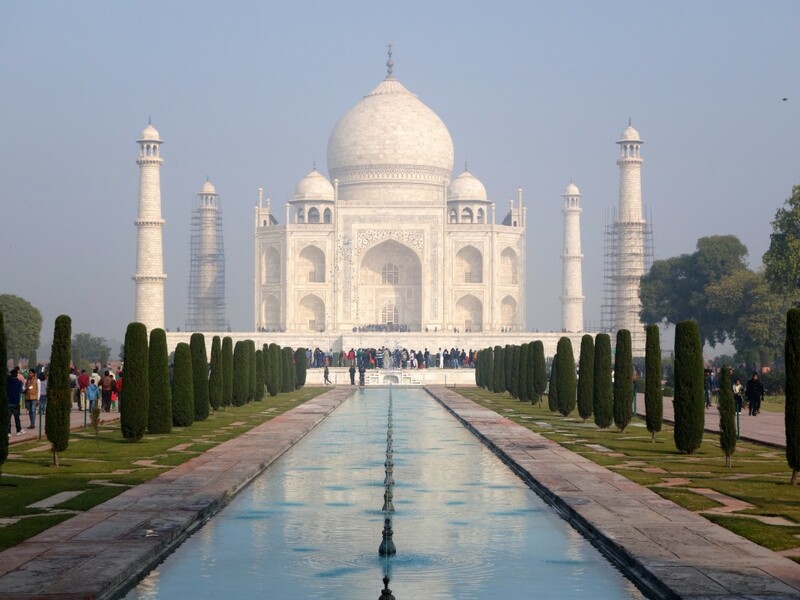 After a delicious home-cooked breakfast, visit the Taj Mahal while the morning light is just right for photos. For lunch we feast at a favorite restaurant that serves up a varied sampling of traditional Indian delights. After lunch, explore the famous 17th century Red Fort, then catch a fresh perspective of the Taj Mahal with a sunset boat ride in the Yamuna River. Get active this morning with a guided bicycle tour that takes us into quiet countryside. Learn about village life and get hands-on in the garden. 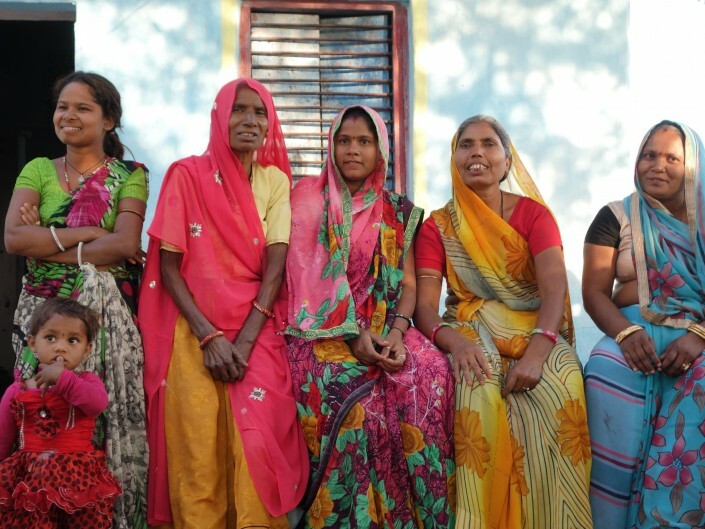 Share a cup of chai with a local family before riding back to the hustle and bustle of the city. Feeling slightly warmed up to India, this afternoon we will dive into the crazy streets of the old bazaar to visit a Hindu temple and experience the sights and sounds of the local market. We’ll need a cup of chai after all that busyness! Sheroes Cafe offers a quiet place to relax while supporting a superb cause: all the beautiful girls working at Sheroes Cafe are survivors of acid attacks. We’ll then catch an evening train to Jaipur (3 hours). Clean and modern B&B in a quiet neighborhood in Jaipur. Today is packed with amazing sights! First stop on the itinerary is the iconic 18th century Hawa Mahal (palace of winds) built in the heart of the Pink City. 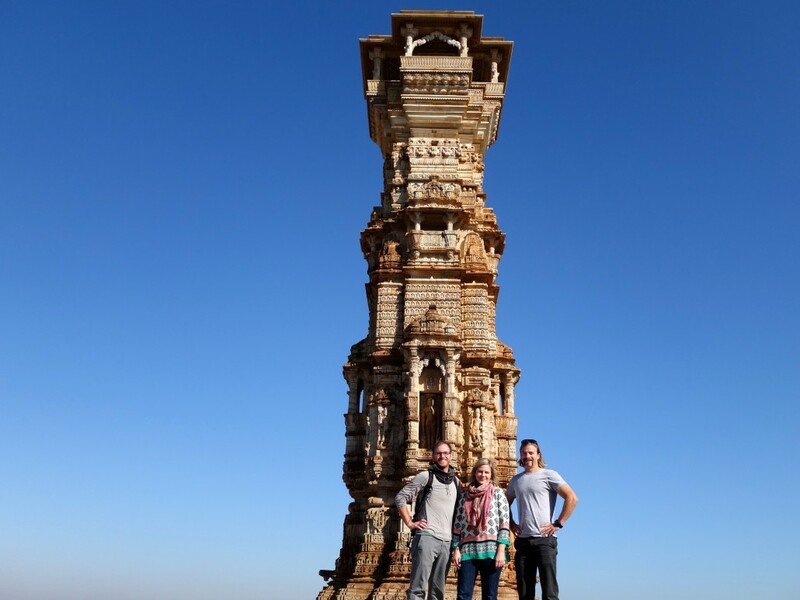 Be sure to wear your walking shoes, as after this we visit three incredible forts: the beautiful Amber Palace, the massive Jaigarh Fort, and finally Nahargarh Fort. 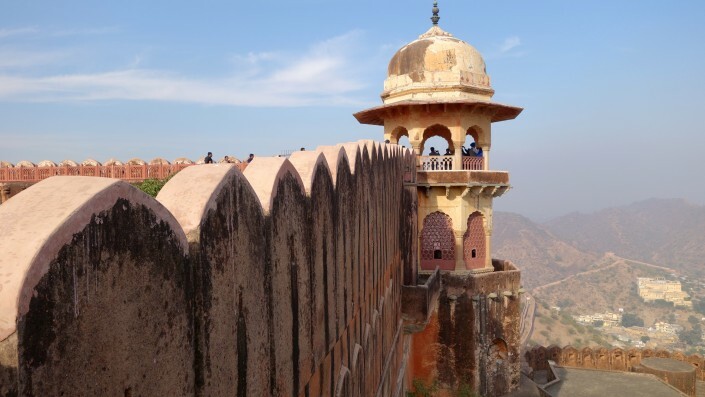 With drink in hand, watch the sun set over Jaipur from the ramparts of Nahargarh Fort. Polish off the day with sampling of Mughali dishes at Handis, and a creamy lassi from Jaipur’s famous Lassi Wallah. Another delicious, home-cooked breakfast energizes us for the day ahead. A three-hour car ride brings us to beautiful and lesser visited Bundi. A personal favorite, Bundi charms with it’s “abandoned” fort, “blue city,” and friendly locals. 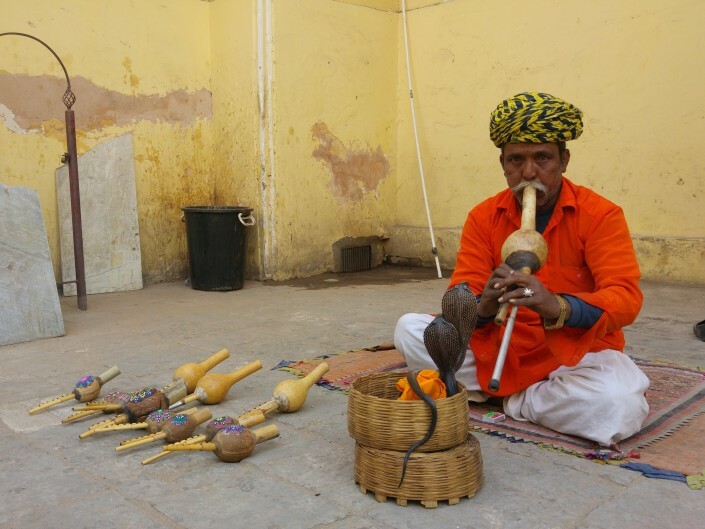 Take the afternoon to explore the quaint old-town and monkey-ruled remains of the Taragarh Fort. 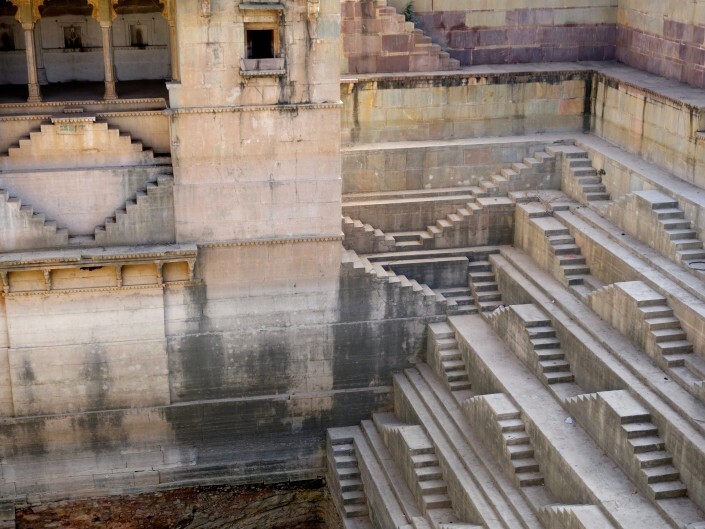 Lots to explore today: several step wells, a busy marketplace, and the lovely Bundi Palace. If that’s not enough, take a rickshaw ride out of town through quiet fields to a hill-top temple. End the day with a quiet dinner overlooking lights sparkling in Bundi’s picturesque lake. A morning train (2.5 hours) takes us to out-of-the-way Chittor. 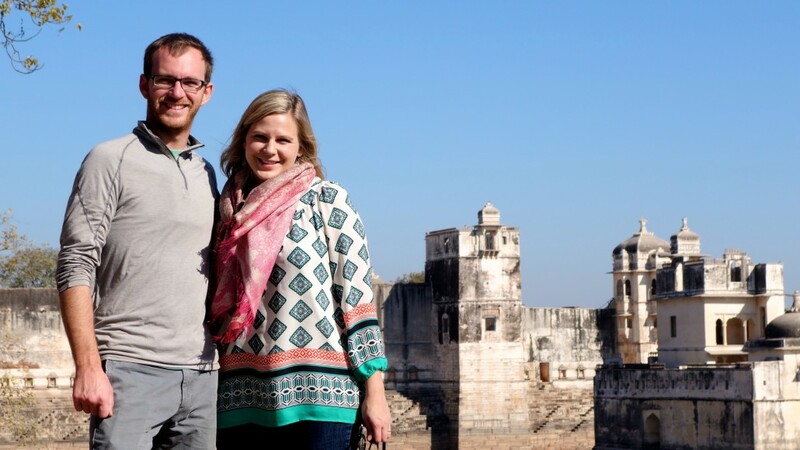 From here, a short rickshaw ride brings us to lovely B&B accommodations within the walls of one of Rajasthan’s largest and oldest forts – Chittorgarh. Our lodgings in a renovated Haveli (traditional manor) are hosted by a delightful couple who entertain with good conversation and wholesome, traditional meals. Take the afternoon to wander the ruins of Chittorgarh Fort by foot or bicycle. 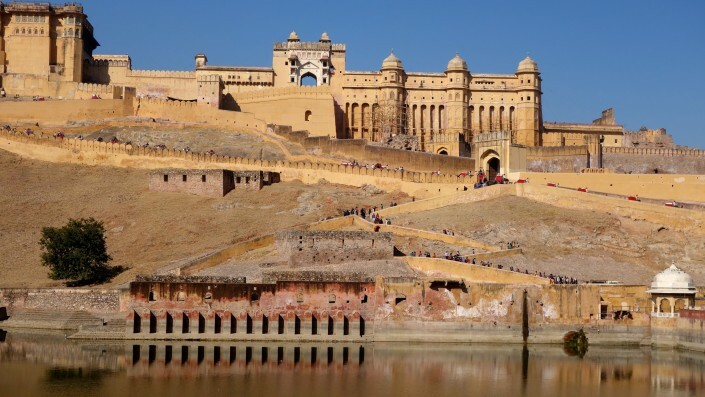 Dating back to the 8th century, this fort stands as a symbol of heroic bravery of the Rajputs. 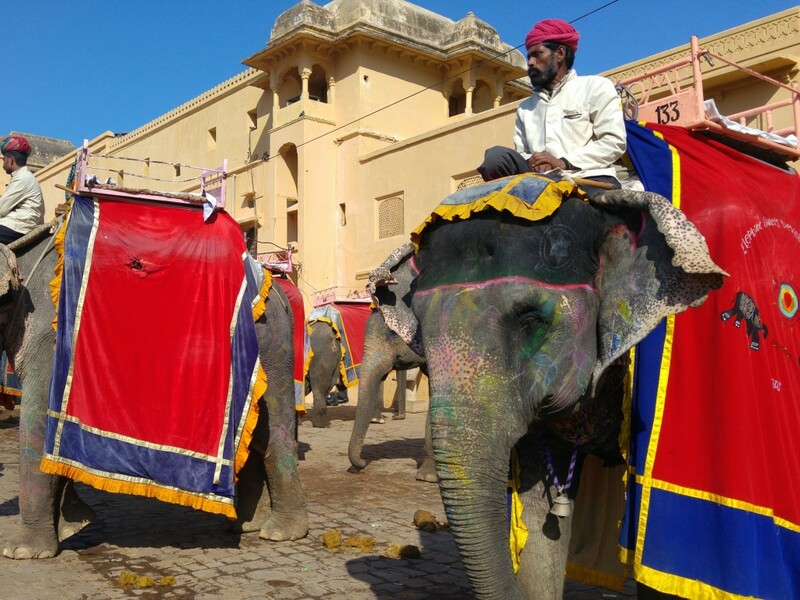 An evening rickshaw can take us down to the town market for shopping or a sampling of Indian ice-cream – kulfi! 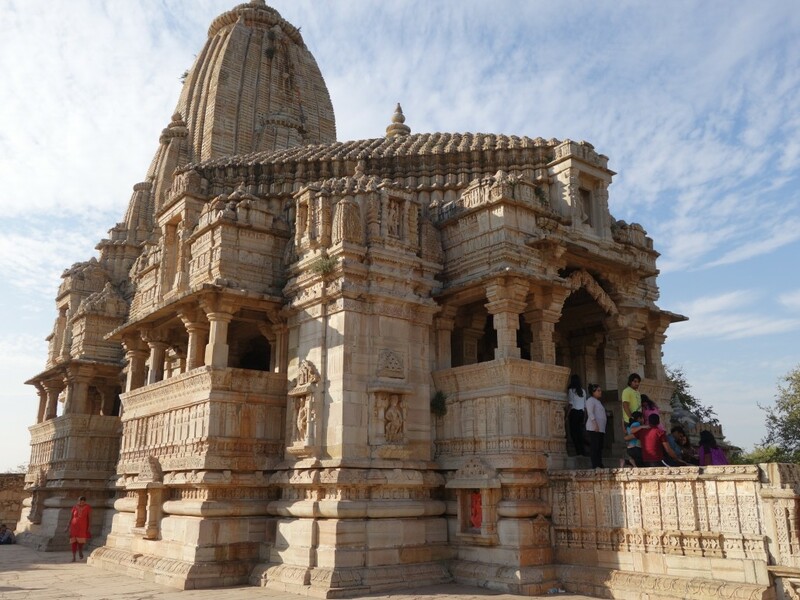 After breakfast, a private car can take us around the rest of Chittorgarh’s massive compound before heading on to Udaipur (3 hours). 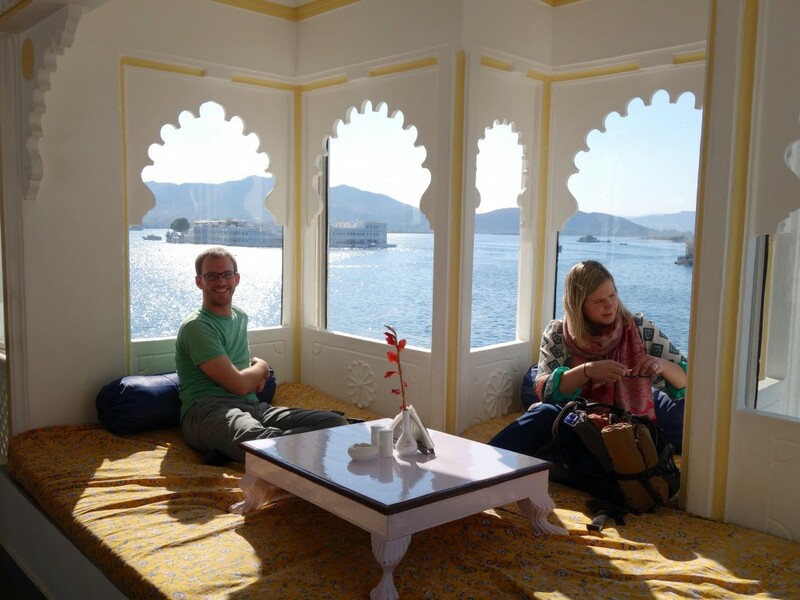 Udaipur, often referred to as the Venice of India, is situated on the shores of Lake Pichola and is best enjoyed with a relaxing lunch and drinks on the terrace of our lakeside hotel. Take an afternoon stroll through the narrow streets around the lake, or take advantage of numerous shopping opportunities. Meet back at the terrace restaurant for dinner overlooking the lake. DAY 9 – Fly to Delhi – Departure – Or add-on an exciting Nepal tour! Time permitting, visit the Udaipur Palace before our flight back to Delhi (1.5 hour). From Delhi, transition to your departing flight, or better yet, sign on for an amazing trip extension to Nepal! * May be subject to additional charges if desired flights aren’t available at the time of booking.